You may be surprised to learn that your forefoot carries and balances half of the body's total weight, and is designed to handle significant force and wear-and-tear. The forefoot is one of the three primary regions of the foot, in addition to the midfoot and the rearfoot (or hindfoot). It is composed of tendons, ligaments, soft tissue, and 19 bones in five toes, also known as the phalanges. The hallux, also known simply as the big toe, has only two phalanx bones: the proximal and distal phalanges. Pain in the forefoot is generally called metatarsalgia. The pain can manifest as burning, aching or shooting pain in the toes, often in the ball of the foot, and can be aggravated by walking or running. 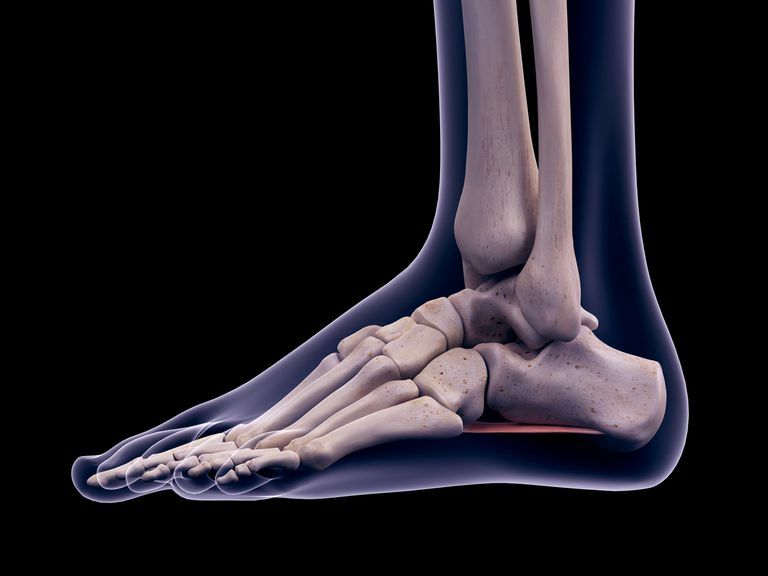 Injuries and inflammation are often suffered to the forefoot during sports activities. These can often be traced back to abnormal weight distribution during these activities. Morton's neuroma is a condition that can cause metatarsalgia pain, and occasionally toe numbness. It is caused by nerve inflammation and irritation between the metatarsal heads. Broken toes are common, usually caused by something heavy hitting them or stubbing a toe against an object. They are quite painful and can make walking difficult. Serious fractures left untreated can heal incorrectly and cause other issues. Hammertoes are a common foot problem that can affect one or more toes, though it is uncommon in the big toe. Weak muscles in the toes allow tendons to shorten and thus pull the toe back toward the foot, causing the elevated joint and the "hammered" appearance of the toe. Osteoarthritis is a degenerative disease of joints in which the cushion between joints, known as cartilage, deteriorates. Foot deformities, sprains, and injuries to the foot may also contribute to osteoarthritis. Osteophytes, also known as bone spurs, are growths or projections of bone that can develop along joints. They can appear in those with osteoarthritis. They often cause pain and can limit joint movement.